In North Carolina, separation is a legal status in which a husband and wife are living in two different residences and plan to do so permanently. It does not fully dissolve the legal obligations that spouses have to one another. For example, a person who is separated from his or her spouse cannot remarry. This article can only briefly outline the legal rights and obligations of separation. To learn about them in greater detail, contact Raleigh legal separation attorneys [firm-name], at 919-833-1040. A Raleigh legal separation can be formal or informal. To obtain an informal separation, a person simply needs to move into a separate residence from his or her spouse. After 1 year, if they plan to continue living apart, the couple will be legally separated. At this point, they will have the option of an absolute divorce, or they may continue living in separation. There is also a legal process known as divorce from bed and board. Despite the name, this is not actually a divorce. It is a form of fault-based separation. To obtain a Raleigh divorce from bed and board, you will need to file a complaint with a judge. Complaints that will be considered grounds for separation include drug abuse, indignities, cruel or barbarous treatment, abandonment, or adultery. If granted, your spouse will have to leave your residence, but your marriage will not be dissolved. A couple that chooses to file for separation has the option of executing a Separation Agreement. This is a way for couples to settle issues such as property division, custody, child support, and alimony. If a couple is unable to agree on these issues, they may try mediation or arbitration. If these fail, it may be necessary to file a complaint with a judge. 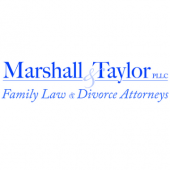 To schedule a confidential consultation with a Raleigh divorce and separation lawyer, contact the Marshall & Taylor Law Firm, P.C., at 919-833-1040.